WiFiMCU is developed based on EMW3165 by Headquarters EMW3165. Run the Lua script directly; operate hardware resource; achieve product prototypes. EMW3165 is a low-power embedded WiFi module, which is developed by the Shanghai MXCHIP Technology Co., Ltd. It incorporates a WiFi RF-Chip and a microcontroller based on STM Cortex-M4. 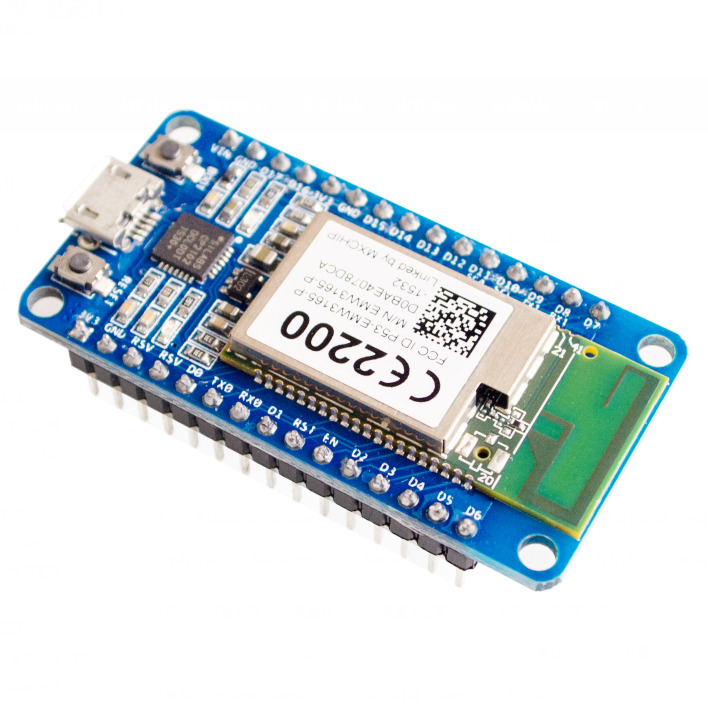 The WiFi module includes a “self-hosted” WiFi network library and application components. In addition, it also provides 2M bytes of out-chip flash, 512K bytes of on-chip flash, 128K bytes of RAM, and a rich peripheral resources.